The Blu-ray regional coding system is created to prevent Blu-ray discs made for a specific region being played in other regions. The Blu-ray region codes are seperated in 3 differnt zones. Region A: East Asia (except Mainland China and Mongolia), Southeast Asia, the Americas and their dependencies. Region B: Africa, Southwest Asia, Europe (except Russia), Oceania and their dependencies. 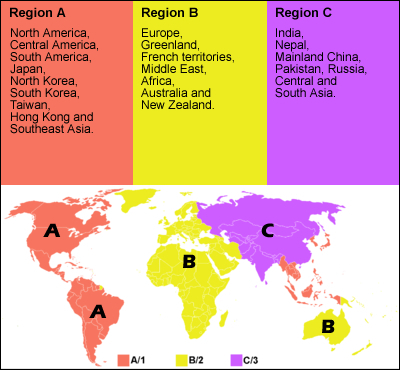 Region C: Central Asia, East Asia (Mainland China and Mongolia only), South Asia, central Eurasia and their dependencies. If you get a Blu-ray disc with region code on it from, say, Australia and you live in the U.S. and get your Blu-ray Player from there. Then you will have a Blu-ray disc from region B and a Blu-ray player from region A. If both the Blu-ray disc and the Blu-ray player have region codes on them, then you won’t be able to play a region B Blu-ray on a Region A Blu-ray player. But certain U.S. movie studios have been release most of their titles region-free. Big movie studios like Walt Disney Pictures, Universal Studios, Paramount Pictures, Sony Pictures, and Warner Bros have chosen to release most of their productions region-free. The region code is usually printed on the cover of the disc. If you have a Blu-ray disc with A,B,C region codes on them, it would mean that it’s a region-free disc and you can play it on any Blu-ray player. A region free Blu-ray disc can be play on a Blu-ray player of any region and a region free Blu-ray player can play Blu-ray discs of all regions. So when you have a Blu-ray disc that you can’t play on your Blu-ray player because they carry different region codes, there are several different solutions you can have to solve the problem. If you have a Region B Blu-ray disc and a Blu-ray player from Region A, here’s what you can do. 1. Get a Region A version of the Blu-ray disc to play on your Region A Blu-ray player. 2. 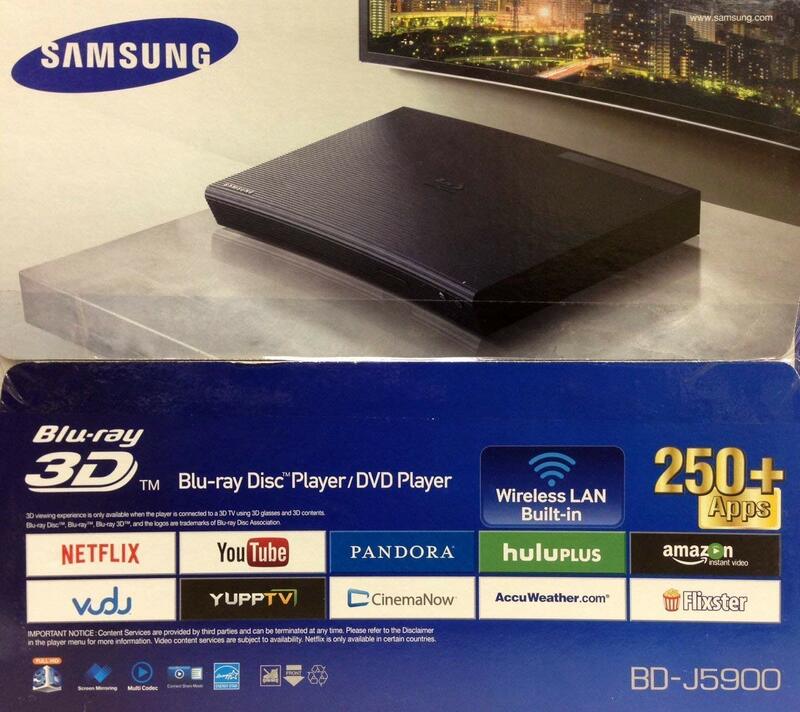 Get a Region B Blu-ray player to play the Region B Blu-ray disc. 3. Get a Region-free Blu-ray disc. 4. Get a Region-free Blu-ray player. 5. Make a region-free copy of your Blu-ray disc. Of all those solutions, the fifth one is the most effective and money-saving one. If you want to watch a region-locked Blu-ray movie with a Blu-ray player of a different region, this is the simplest solution you can have. The Blu-ray region codes could be a headache to people who collect Blu-ray discs. If you buy Blu-ray discs from differnet places, the best solution to the Blu-ray region code issue is to get a region free Blu-ray player. Check out what Region-free Blu-ray players you can buy. 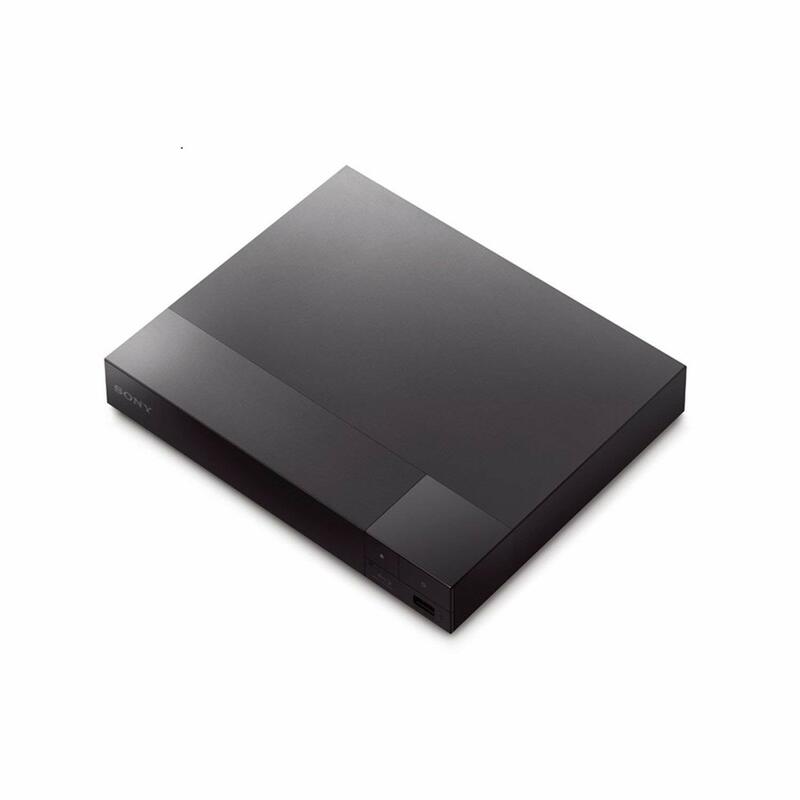 The Sony BDP-S1700 is region free for both Blu-ray and DVD. It comes with support for streaming services from Netflix, YouTube, Hulu Plus, Amazon Insant Video, etc. But as it doesn’t have Wi-Fi, it requires wired internet connection. The most interesting feature of it is the support for PlayStation Now, Sony’s streaming service that allows you to stream and play PS3 games. And if you have DVDs, it also supports DVD upscaling. The Samsung J5900RF is a simple but powerful Region-Free Blu-ray DVD player. It has Wi-Fi that allows you to stream media content from Netflix, YouTube, Pandora, Vudu, Hulu Plus, Amazon Instant Video, and more. And it’s also a 3D Blu-ray player. It will recognize the region of your DVD disc automatically but not Blu-ray discs. When you play a Blu-ray disc that has region code on it, you will have to press the respective button on the remote to tell the player the region of the Blu-ray disc you are playing. If you don’t have a lot of region-locked Blu-ray discs, making a region-free copy of them is also a good way to solving the region code issue. 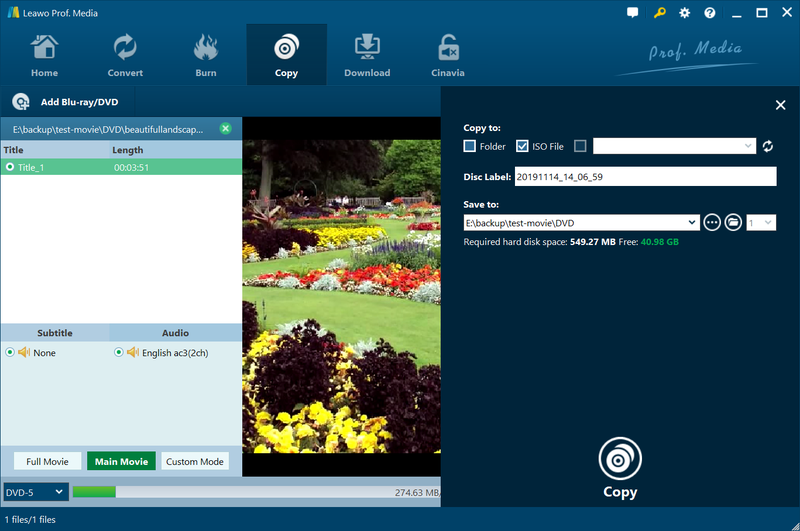 There’s a nice piece of software you can use called Leawo Blu-ray Copy to create region-free copy of your Blu-ray collection. It can copy your Blu-ray disc with no quality loss and remove the region code during the copying process. 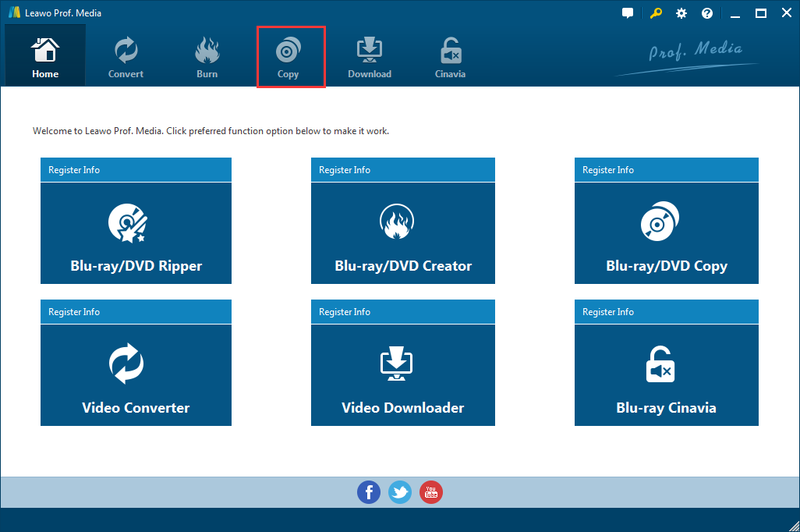 Learn how you can use the program to make a lossless, region-free copy of your region-locked Blu-ray disc using Leawo Blu-ray Copy. Note: Leawo Blu-ray Copy is incorporated into Leawo Prof.Media. Step 1. Fire up Prof.Media, Click Blu-ray Copy to launch it. Step 2. 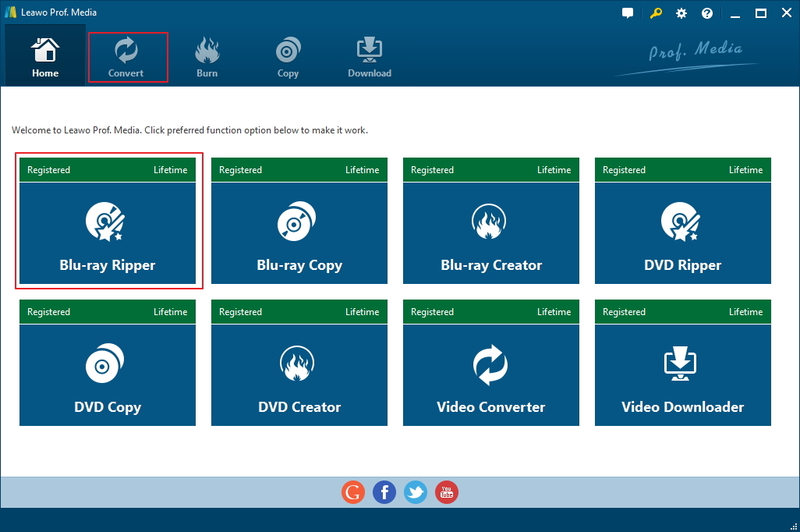 Put the disc in your Blu-ray drive, click Add from Blu-ray/DVD>Add from CD-ROM and click the following menu to add the content of the disc to Blu-ray Copy. Step 3. Select a copy mode among Full Movie, Main Movie and Custom Mode. 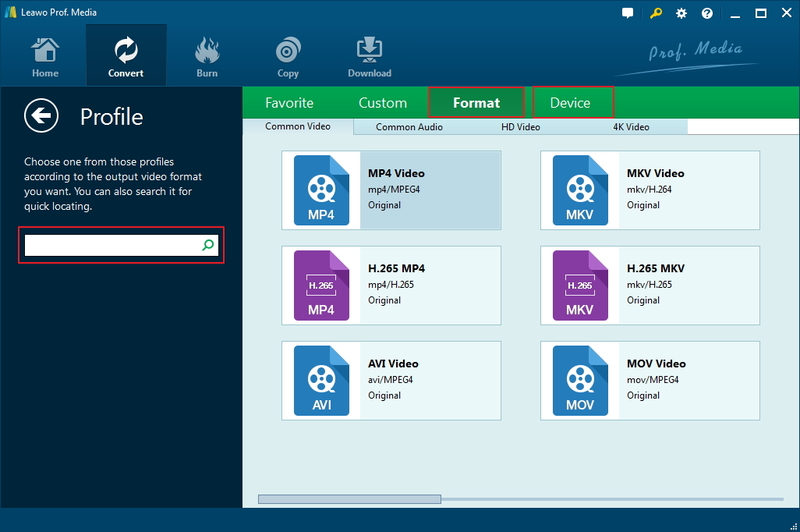 Choose Full Movie mode to copy all video titles, subtitles and audio tracks in the disc. Main Movie mode will only copy the main movie, one audio track and one set of subtitles. Custom Mode enables you to choose the content you need manually from the above lists. Click the Disc Format button below the 3 copy mode buttons and then select a suitable format between BD50, BD25, DVD-9 and DVD-5. Note that you can compress BD50 to BD25 if you only have a BD25 disc for copying a BD50 disc. Step 4. Click the green Convert button. On the sidebar that follows, check Folder to save the copy to your hard drive as a folder; check ISO file to save the copy as an ISO to your hard drive; check the third option and select another disc in another drive that has been connected to your computer as the target. The third option is for you to copy the original disc directly to a new disc, and it requires two Blu-ray drives and one of them should support disc burning. If you choose the first two options, set output path for them in the output directory box in the middle and start copying the disc by clicking the Copy button. Note: You can import the Blu-ray folder or ISO file you get to the program again and repeat the above steps to burn the folder or the ISO file to a blank disc. If you prefer video guide, check out the video below. 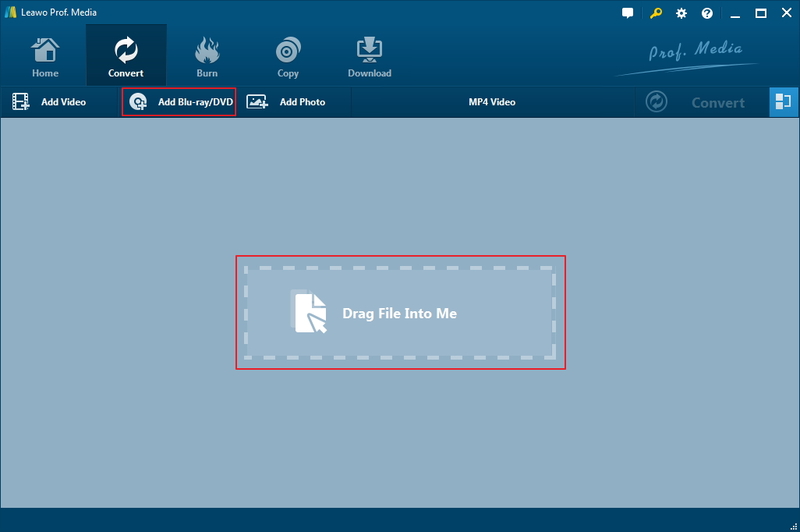 It’s a video tutorial that shows you how to use Leawo Blu-ray Copy to make a copy of a Blu-ray disc. Another option you have to deal with a region-locked Blu-ray disc you can’t play is to use a Blu-ray ripper program to create a digital copy of the movie. It would allow you to watch the movie not only on your computer but also on your mobile devices like your iPad or your phone. Leawo Software also has a piece of high quality Blu-ray ripper software that you can use to convert your Blu-ray movie to lossless MKV video or an universal MP4 video for playback on mobile devices. The program’s called Leawo Blu-ray Ripper. 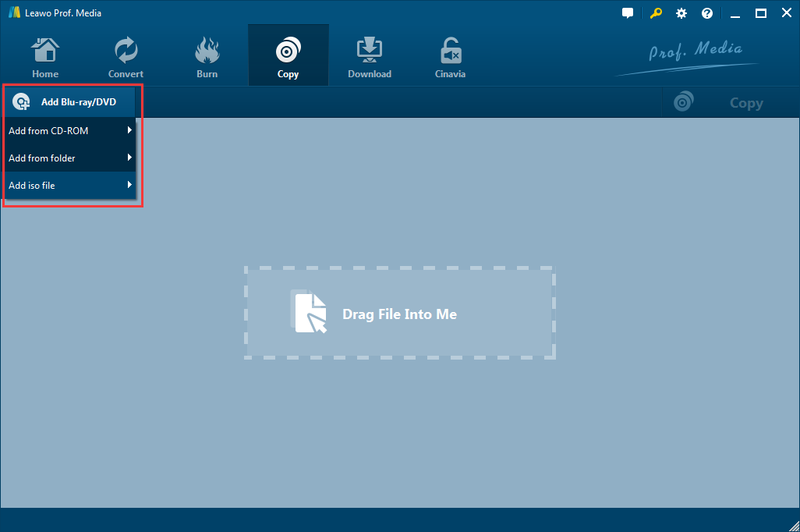 Below’s how to create a digital copy of your Blu-ray disc with it. 1. Like Leawo Blu-ray Copy, the Blu-ray Ripper is also inside Prof.Media. So just start Prof.Media and click the Blu-ray Ripper icon to open the program. 2. The disc content importing process is similar to Blu-ray Copy as well. Click Add from Blu-ray/DVD>Add from CD-ROM to load the media files in the disc to the program. 3. Select which titles to rip by using the 3 buttons. The functions of the 3 buttons are the same as the same buttons you can find in Blu-ray Copy. Use one of them to choose the videos you want to rip. Click OK to add them to the video list. 4. Click the MP4 video button and click Change to open Profile and select a video format you need from the panel. Depending on what device you want to play the movie on, you can rip Blu-ray to MP4 to play on your iPhone or to lossless MKV to enjoy the movie on your computer with the highest quality. 5. Click the Convert button in a green background, set where to save the output video on the following sidebar and click the Convert button on the sidebar to start creating a digital copy of your region-locked Blu-ray disc. Below is a video guide of Blu-ray Ripper that shows you how to rip and convert a Blu-ray movie to a common video file with the program. Before getting a Blu-ray disc, you should check the Blu-ray regions information first to make sure you get the right disc for your Blu-ray player or the Blu-ray region codes could bring troubles. If you’ve have collected a certain a mount of Blu-ray discs over the years and have had some of the scratched, check out how to fix a scratched Blu-ray disc.